How do you overcome emotional eating after a stressful day at work? Life can be unbearable when overwhelmed with stress, frustration and anxiety and you feel like retiring in front of the TV with your favourite comfort food. Whilst this may sound harmless, most people regret their lapse in judgement moments after the event or the next day. Having worked with clients over many years, I saw first-hand how stress can lead to emotional eating. I too have succumbed to the intensity of life by finding comfort in my favourite foods. But what is at play here? What is the real story behind emotional eating? Why does it sabotage our best efforts to stay healthy? It lies in recognising you are an emotional being. Let’s define what emotional eating is and what it is not. Emotional eating is a recurring, unconscious attraction toward foods which fulfils an emotional void. Emotional eating occurs when a person is in the throes of an emotional roller-coaster. This may include emotions ranging from: stress, sadness, frustration and anxiety to name a few. We gravitate toward comfort foods to escape dealing with our emotions and so we defer them for a later time. In seeking comfort in food, some of us are taken back to our childhood where sweets were used as a reward for good behaviour. Think back to a time when your parents or loved ones used sweets or other forms of food as a reward. I recall my desire for home-made desert, particularly apple pie which my mother baked. As an adult, my attachment to apple pie is tied to my emotional connection to childhood. Apple pie reminds me of the love between a mother and child and it is natural I want to relive those moments in stressful times. A good starting point is to write a list of the foods you are drawn to. In the column next to the food, note whether it is healthy or unhealthy — be as honest as you can. If you’re unsure, Google the food or conduct some research on the item. If your list includes items such as chocolates, biscuits and cakes or other high sugar foods, chances are you are emotionally addicted to them. Let’s be clear of the difference between a food addiction and a food craving. 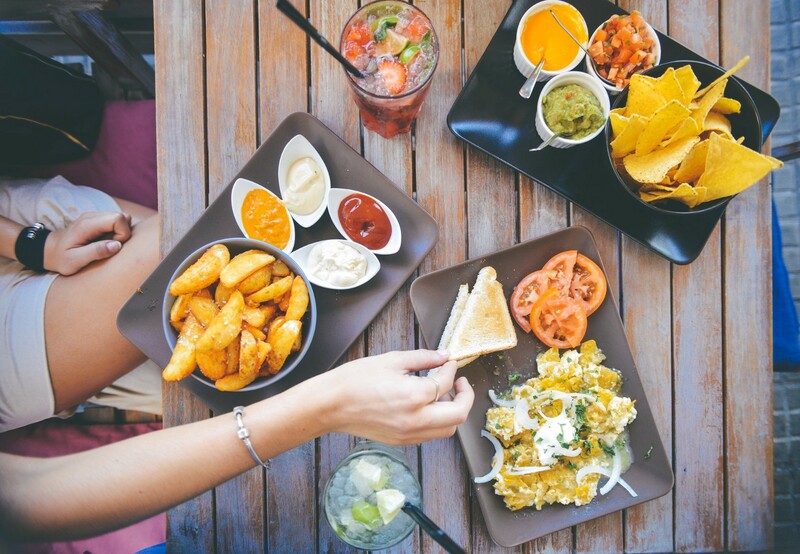 Food addiction means you’re emotionally connected to the food and must have it to satisfy an emotional and physiological desire. A craving is a physiological need for a food to satisfy a chemical imbalance. There may also be an emotional connection associated with cravings. For example, if you exercise regularly your body may crave foods rich in magnesium such as: leafy greens, nuts, bananas or foods high magnesium and potassium. The body may be deficient in these vitamins and minerals and signals the food required to satisfy the deficiency. Consider the following advice to help you navigate your way around emotional eating. First, note the texture of the food you crave. Is it crunchy, soft or chewy? Food texture represents a range of emotional intensities ranging from: sadness, depression to frustration and anxiety. Food texture denotes the emotional intensity you’re experiencing at the time, given you are likely to feel better after consuming the food. The wisdom of the body is intelligent and knows what is required to satisfy an emotional intensity. Therefore, if you’re frustrated and angry, it is less likely you will gravitate toward soft and creamy foods such as milkshakes and ice-cream. Crunchy and textured foods like apples, nuts and brittle chocolate are most likely choices, given their metaphysical relationship to the emotions you’re experiencing. 2. Where do you experience the emotion in the body? 3. What could it be asking of you? Most people try to stuff away the emotion in the hope it will goe away. This is likely to compound its intensity when it later returns. Soon enough, you have given in to the craving owing to a collapse in willpower. I must state, it is not your fault since you are following your biological drive to satisfy your urge. With increased awareness and practice, you will identify the feeling and sit with it instead of immediately respond to it. The feelings you experience are a like taming a new puppy eager to gnaw at your slippers. However, by distracting it with a toy, you draw its awareness to something of equal pleasure and soon enough it has learned to stop chewing at your slippers. To be with the emotion means to experience it mindfully rather than defer or ignore it. People often find this process challenging since they attach a storyline to the emotion and try to give it meaning. For example, if you had an argument with a colleague and you’re frustrated and angry, you might gravitate towards crunchy or textured food to satisfy the emotions you’re experiencing. Rather than dwell on it, move into your body and feel where the emotions resides. Are they in your stomach, heart, throat or head region which represent the main chakra points? Bring an open awareness to this area and observe the emotions without assigning them meaning or judgment. Emotional eating is a call to deal with your emotional self that seeks to be acknowledged. Stuffing the emotion adds more energy to it until it overwhelms you. Make it a pact the next time you’re in the throes of an emotional siege, note how you feel before you dive into the chocolate cake. I can assure you, once the waves of emotions have passed (as they will), you will no doubt regret indulging in the cake. Don’t fall victim to emotional eating by breaking the cycle. You have the power to control what you eat without feeling guilty, so be patient and compassionate with yourself foremost while changing your habit. 5 Signs of Emotional Eating: Are You an Emotional Eater?